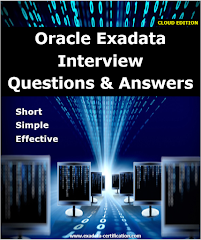 Hello Oracle Experts, at this site you will find all the topics related to Exadata certification, specially Exadata certification and Interview preparation. 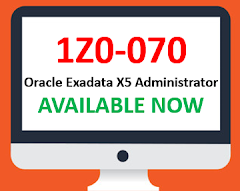 Exadata is the most essential flow for any of the Database consolidation, administration and implementation, that's why it has created a massive international job potential for Exadata consultant, administrator and implementer. 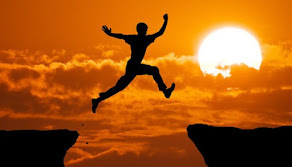 It will also help you to improve your employability scale at various level. A post on Exadata Certification Question Bank will lead you to firm your path towards maximum success. 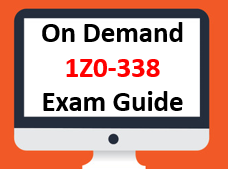 There you can find all the possible questions & answers with explanation and sound determination to crack Exadata certification exam. There are many pdf, E-books as well as documents available for Exadata and related technology. You can go through the uploaded documents to clear your technology specific doubts. There are many listed document links for Exadata available to keep it for lifetime reference. We are the team of certified Oracle Exadata DMAs with experience in Oracle and other technical domain and managing this site to share knowledge and real time experience of Exadata as well as other related stuffs. We are working in Oracle and multiple other domains across various industries which is helping us to share wealth of knowledge and real time experience with Oracle techies. 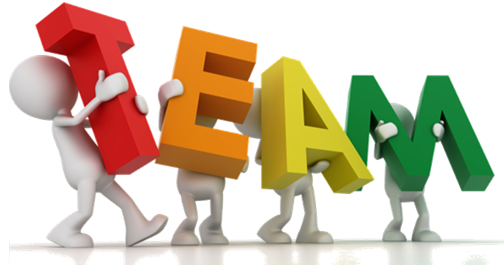 There will be more than one contributor to make sure you get the breadth of topics and share live job experience. We would like to become a part of your success by guiding you to become a DMA (Database Machine Administration) and providing Exadata certification material. Feel free to contact us if you have any related questions or suggestion.